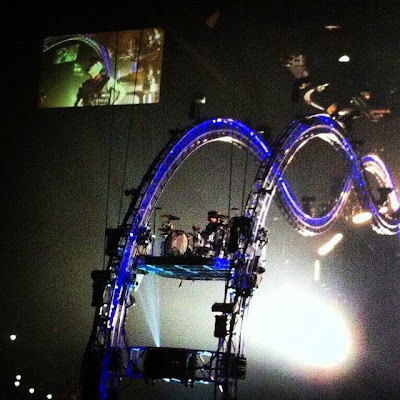 Tommy Lee of Motley Crue is sharing new video of “The Cruecifly”, his drum solo on the band’s farewell tour. The solo sees the rocker move around the arena on a rollercoaster track during the performance. Last month, Lee and the Crue kicked off their 2-year farewell tour with special guest Alice Cooper. North American dates are set to wrap up November 22 in Spokane, Washington. The band participated in the ALS Ice Bucket Challenge onstage in Virginia Beach this past week while donating $10,000 to the cause. Watch video of the challenge here.